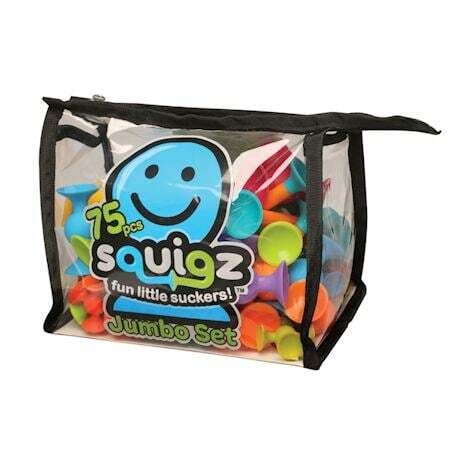 Squigz are the innovative suction construction toys that stick to each other and virtually any flat surface, then pull apart with a satisfying POP! 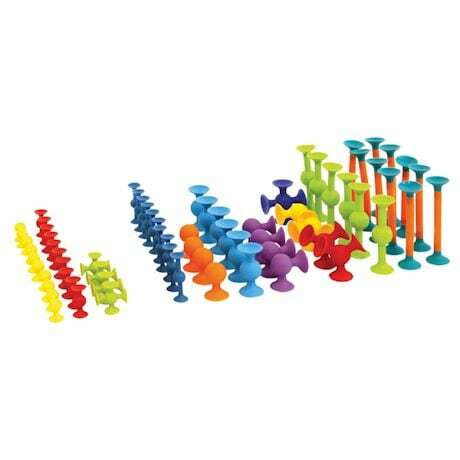 A variety of interesting shapes and colors, regular and mini-sized, make up this exclusive 75 pc jumbo set of fun little suckers. 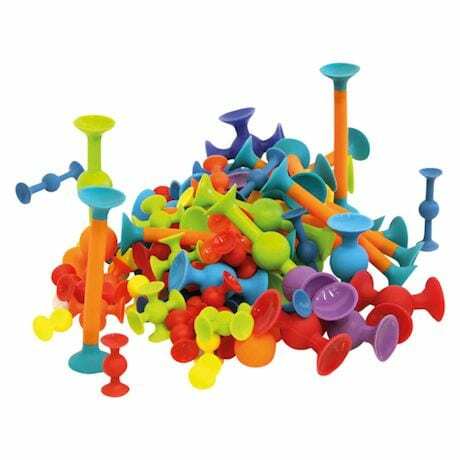 It includes 75 soft, BPA-free silicone Squigz in 13 cool shapes and bold colors for hours of entertaining, creative play. In addition to being safely designed, they are easy to clean right in the dishwasher, and won't leave any residue or marks on your tables, windows and other flat surfaces. 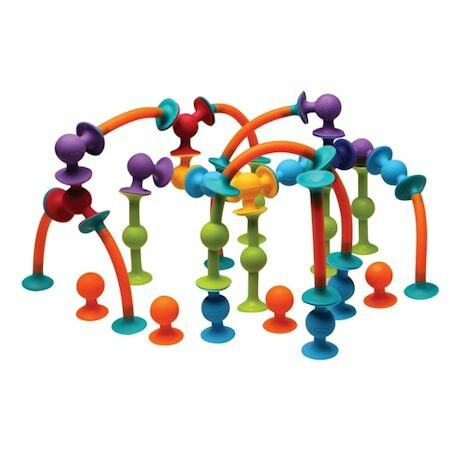 Squigz toys encourage a child's imagination and interaction, as well as aids in sensory stimulation and the development of motor skills, hand-eye coordination, visual thinking and concentration. They also make a great relaxation tool for adults, allowing for a calming activity to encourage mindfulness. 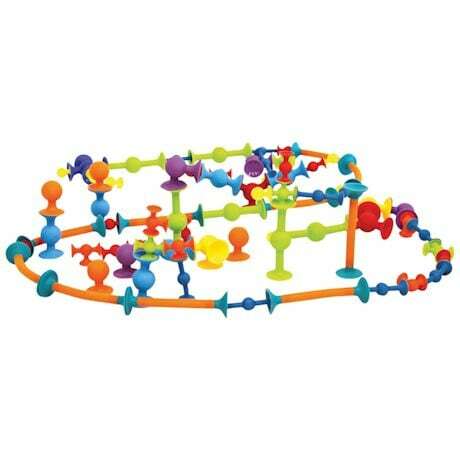 Keep this versatile Squigz set in a playroom, classroom or daycare and always have sticky fun on hand! 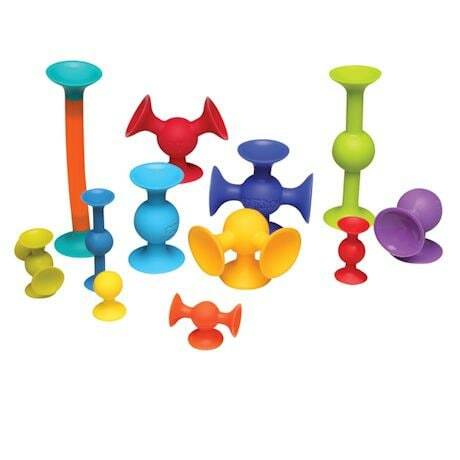 They are perfect for use as a bathtub toy, as they do not have any internal surfaces that trap and hold water. The handy zippered storage bag makes them easy to take along on car trips, transport them to school or bring them to the office for a fun little break. An ASTRA Best Toys for Kids and Oppenheim Toy Portfolio Gold award winner, Squigz set makes an awesome birthday, holiday or ?just because? 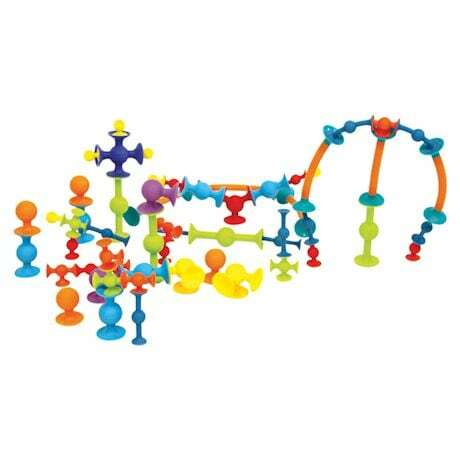 gift for any kid or kid at heart, ages 3 and up, who loves building and appreciates unique play.